The terms “best endeavours”, “all reasonable endeavours” and “reasonable endeavours” frequently appear in contracts, particularly in the oil and gas industry and large infrastructure type projects. Recently, the Singapore High Court in BR Energy (M) Sdn Bhd v KS Energy Services Ltd  SGHC 64 (BR Energy v KS Energy) issued a decision on the scope of such clauses after undertaking a comparative study of the law on “best”, “all reasonable” and “reasonable” endeavours in various Commonwealth jurisdictions. The plaintiff (BRE) contracted with the defendant (KSE) for KSE to construct and deliver a Workover Pulling Unit (WPU). KSE’s contractual obligation was not to build and deliver the WPU. Instead, the contract provided for KSE to “use all reasonable endeavours” to ensure that the WPU was constructed and ready for delivery within six months. KSE contracted with a third party (Oderco) to construct the WPU. Delays ensued and a completed WPU was never delivered to BRE. BRE sued KSE for breach of their obligations. A “best endeavours” undertaking does not require the obligor to make heroic efforts, nor is it a warranty to produce the desired results. However, the obligor must do everything known to be usual, necessary and proper for ensuring the success of the endeavour. The obligor must take all those reasonable steps in good faith which a prudent and determined man, acting in his own interests and anxious to obtain the required result within the time allowed, would have taken. It has been said that he must “leave no stone unturned”. Whether the “best endeavours” test has been fulfilled is a question of fact in each case. The test to determine whether an obligor has exercised best endeavours is an objective one. It is, however, a composite test in that the obligor may also take into account its own interests. The applicable standard appears to be somewhere between “best” and “reasonable endeavours,” although the English High Court in Rhodia International observed that it may well be that an obligation to use “all reasonable endeavours” equated with using “best endeavours.” In Jet2.com Ltd v Blackpool Airport Ltd  2 All ER (Comm) 1053, counsel for both parties also accepted that best and all reasonable endeavours carried the same standard. However, in another English decision, the High Court in CPC Group v Qatar Diar Real Estate Ltd  All ER (D) 222 held that the obligation to use “all reasonable endeavours” did not always require the obligor to sacrifice his commercial interests, and this obligation was not equivalent to a “best endeavours” clause. Given that the test for “best endeavours” has been held to be a composite one in Singapore in that the obligor may take into account its own interests, it remains to be seen whether CPC Group will be followed in Singapore although it should be highlighted that the distinction made in CPC Group on best and all reasonable endeavours has been challenged in a number of other English cases. In BR Energy v KS Energy, the High Court decided that there was no relevant difference in this case between an obligation to use “all reasonable endeavours” and “best endeavours.” The Court was however careful to note that the current position in law is that there is no hard and fast rule as to when an “all reasonable endeavours” obligation would equate to a “best endeavours” obligation and that this had to be decided on a case-by-case basis. In short, it is a fact-intensive analysis. On the facts, KSE was found to have failed to discharge its obligation to use “all reasonable endeavours”.1 The Court found that KSE had been lackadaisical towards the management of the contract with Oderco and had been content for the longest time to confine its efforts to sending email chasers and telephone calls to Oderco. KSE was also found to have failed to provide adequate onsite supervision, failed to notice the glaring inconsistencies in Oderco’s progress reports, and failed to realise that milestone payments had not been triggered and that equipment had not been purchased in a timely fashion. The dividing lines between “reasonable endeavours”, “all reasonable endeavours” or “best endeavours” clauses may be thin and what tips an obligor from one threshold to the next is likely to be a full appreciation of all the facts. Given the volume of activity and documents on oil and gas, and infrastructure, projects, this may entail pouring over many arch files of emails, minutes of meetings, correspondence and status reports, benchmarked against the construction schedule. Hence, parties should use all best endeavours to cleanly and clearly spell out their obligations. 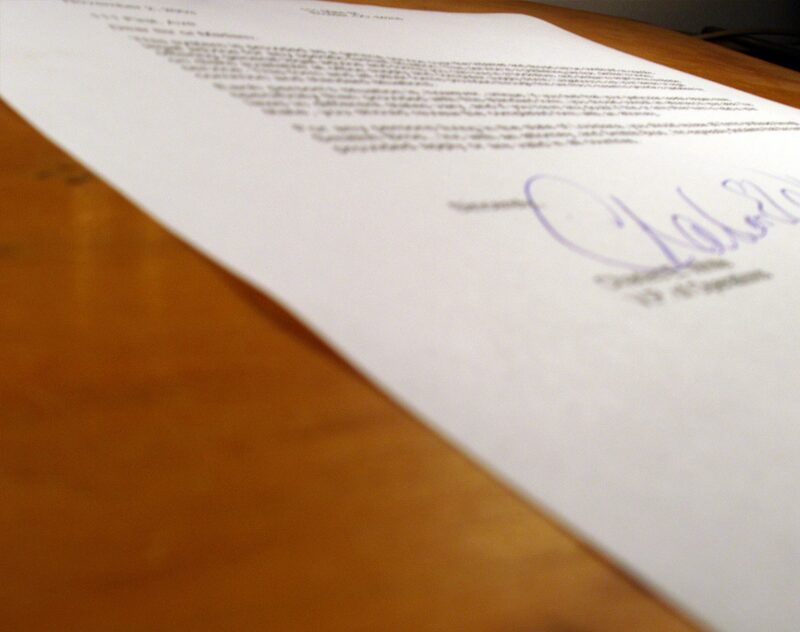 Otherwise, compromises in contract negotiation may well translate into a costly legal battle down the road. 1KSE has appealed against the decision of the High Court and that appeal is still pending. Watch this space for further updates.